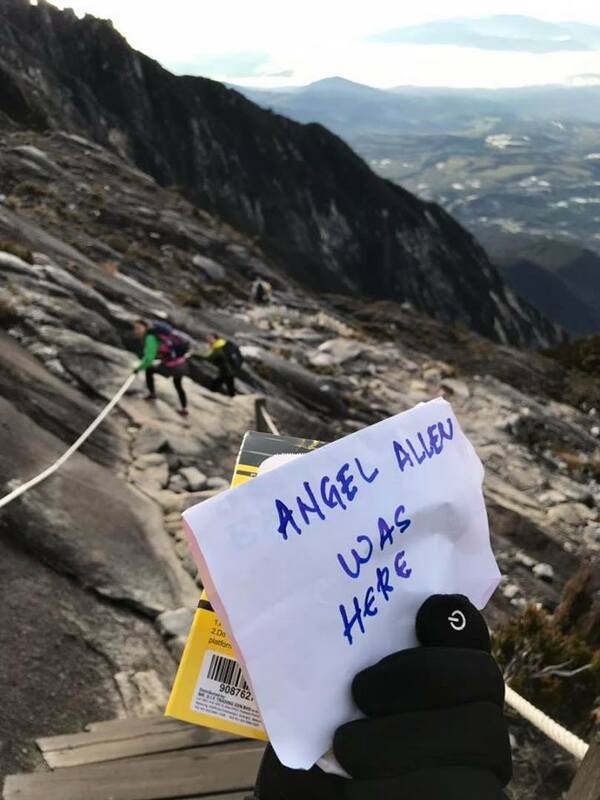 Facebook user Wilson LS Thaddeus shared the discovery in a public Facebook page on Sunday, 17 March, which has since gone viral with over 1,100 shares. 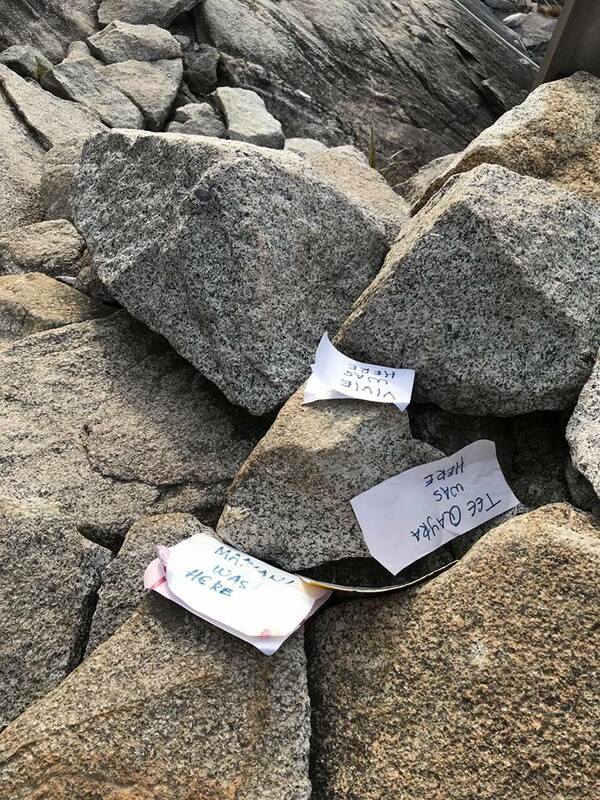 He wrote: "[Whoever] you are, we never know if this is a new trend for taking a pictures of your names (or other people's names) on the mountain, but please bring this [down] next time. Don't just simply leave it up here (sic)." 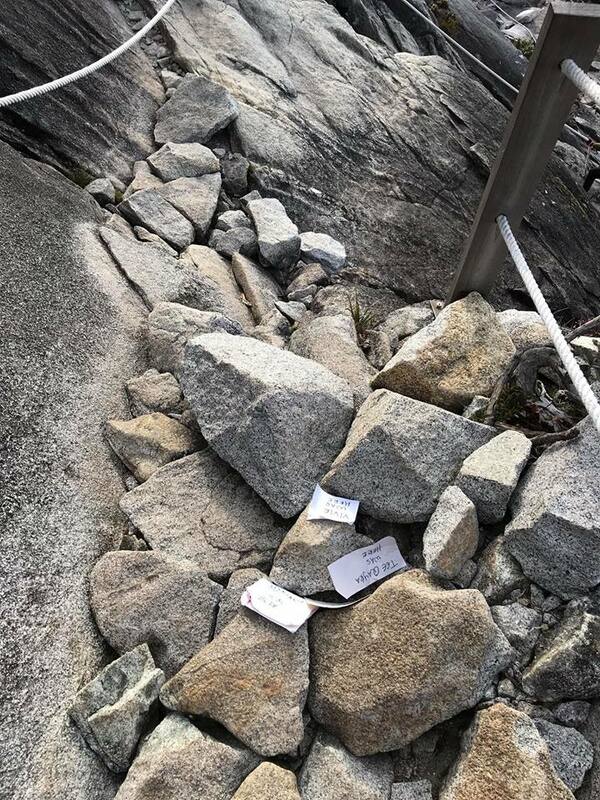 "To you people out there, if you guys [plan] to scale the mountain please don't do this. What's going up have to going down. Take nothing but photographs, keep nothing but memories, leave nothing but footprint (sic)," he added. 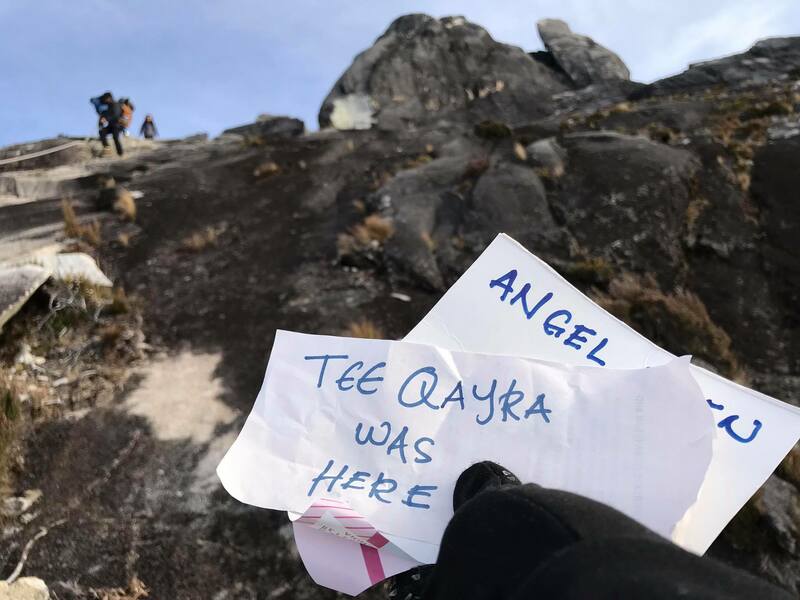 The incident happened at the MCKK ground. 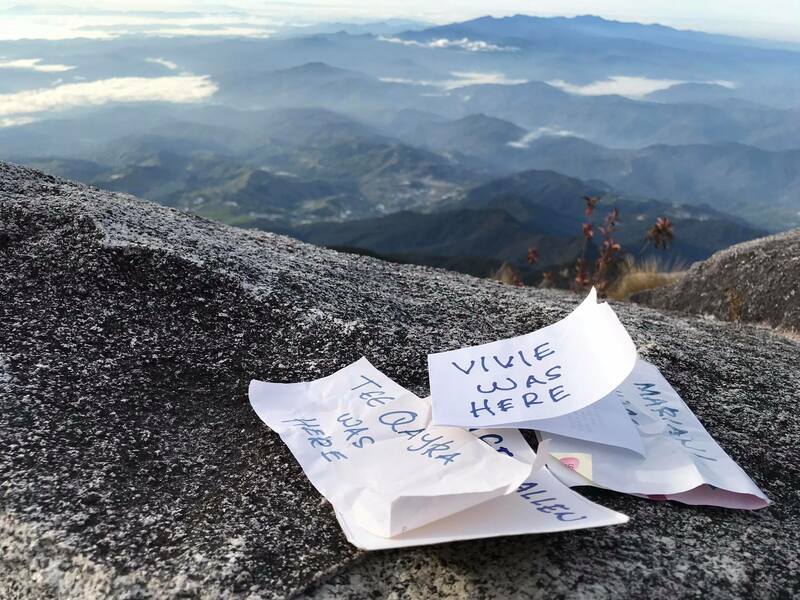 They also left a 'thank you' note in three languages.